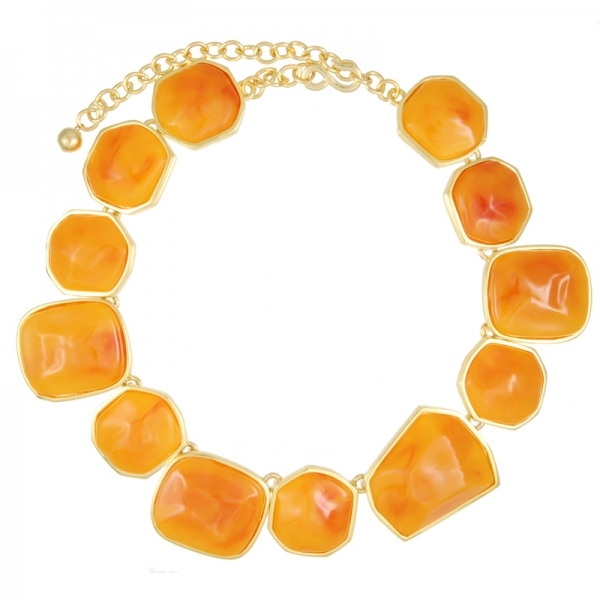 From the legendary New York designer Kenneth Jay Lane, this irregular shaped amber nugget necklace is serious show-stopper. Featuring 12 smooth amber stones in varying shapes and sizes encased in polished 22k gold plate. This necklace has an adjustable lobster-clasp fastening. Approx length 46cm, width 3cm. Featuring this seasons warm orange shade its a "must have!" Wear with an understated blouse or a colour block dress for maximum impact!